Unfortunately, for every good CBD oil seller, there are several bad ones, and that’s down to a lack of strict regulation. With marijuana itself becoming legalized in an increasing number of states, we hope it is just a matter of time before the powers that be get a firm grip of the CBD market. CBD is a non-intoxicating compound in marijuana and has been used as a medicine for centuries. Recent research shows that it is effective when treating a variety of ailments including chronic pain, anxiety, and depression. Therefore, we know that high-quality CBD is worth stocking your medicine cabinet with. What you need is to purchase your products from a legitimate CBD brand, and PureKana certainly fits the bill. PureKana appears to have been founded by Jeffrey Yauch; I say this mainly because he is the company director, at least for the brand’s UK office. It has another office in New Jersey but has its biggest presence in sunny Los Angeles. You can purchase their products in all 50 states and they use CO2 extraction to make their products, which means you benefit from clean CBD with no solvents, pesticides, herbicides, or other harmful chemicals. The company makes several high-quality items, but its CBD oil is the most sought after. You can view unbiased third-party lab reports on the site and I discovered that the oil contained less than 0.02% THC so there is no danger of receiving any sort of high. Therefore, you can safely use it without having to worry about failing a company drug test for example. There are three flavors and three strengths available, but I chose the weakest version in Natural flavor. Each 30ml bottle contains 300mg of CBD which means there is 10mg of cannabinoids per ml. Best of all, the oil is full-spectrum CBD oil so there are other cannabinoids and terpenes involved. The Entourage Effect is the term given to describe the phenomenon of cannabinoids working better together than apart. This is why full-spectrum CBD oil is always a better option than an isolate. 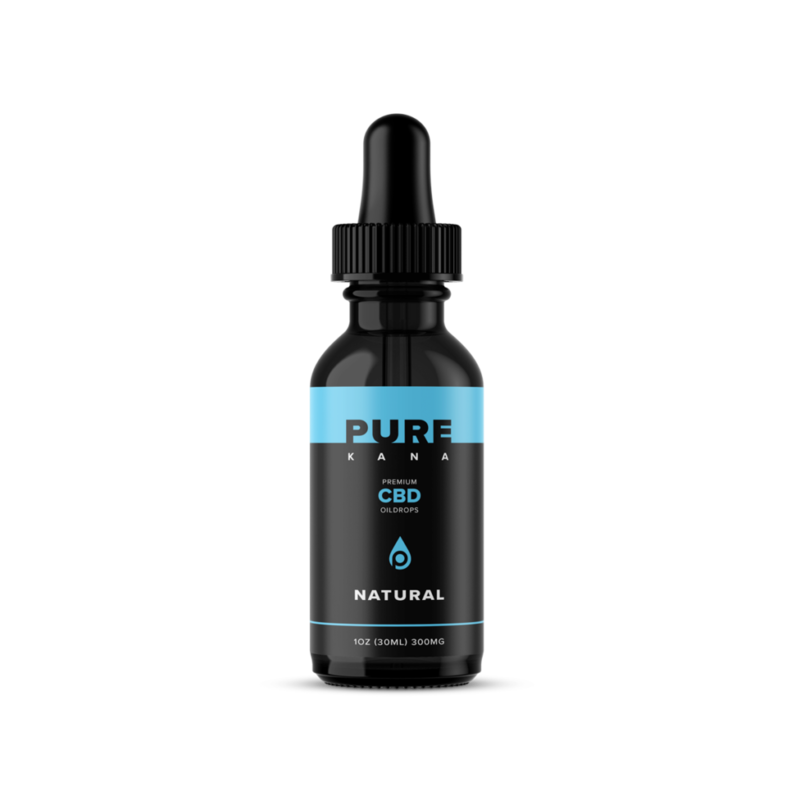 At the time of writing, PureKana has a sale on, so its 1000mg CBD oil is available for $139 – $15 below its normal price. However, the 300mg is still $54 per bottle at the time of writing. You get 40 x 7.5mg servings, so you’re paying $1.35 a day for this oil. This equates to just over $492 per calendar year. If that seems expensive, bear in mind that Vimovo, a well-known painkiller, costs almost $3,000 a bottle wholesale. Insurance will bring the out-of-pocket cost down, but even so, PureKana’s CBD oil seems like a steal in comparison – but only if it works. Does PureKana’s CBD Oil Have Any Positive Impact? The short answer is ‘yes’, although it is important to remember that as we’re all wired differently, CBD’s effects vary from person to person so I can only describe my personal experience. I am not going to lie; stress at work and home has pushed me close to breaking point on occasion. Every single day begins with trepidation at what lies ahead and concludes with anxiety over what will happen tomorrow, followed by broken sleep. The effects of PureKana’s CBD oil were not immediate, but after a few days, I experienced fewer portents of doom. Within a couple of weeks, I began waking up with a sense of purpose, aided and abetted by a decent level of relaxing sleep. After feeling as if I was scraping by and coping with an intense mental fog, I suddenly had a clear mind and renewed vigor and energy. Something very strange was happening and I loved it! For the record, I placed a full dropper under my tongue once a day so I was taking 10mg of CBD each day. Make sure you wait at least a minute before swallowing to get the best results. The ‘natural’ taste wasn’t fantastic, but was far from being unpleasant either. The bottle arrived four working days after I ordered and there were no issues on that end. The higher dose I am taking also appears to work well against chronic pain. I have an annoying back pain that flares up every so often but after a few weeks of PureKana, there were no more issues; a pleasant side effect! I elected to avoid the PureKana site and searched for unbiased reviews across the web. There were an enormous number of five-star reviews and a lot of people seem to love the Vanilla flavor so I have to try that next! Practically every customer received their package in plenty of time and most positive reviews focused on how PureKana’s CBD oil helped alleviate their stress and anxiety. When people talk about how CBD has been ‘life-changing’, it is easy, normal even, to be cynical and dismiss it as a trick of the mind. Again, I can only tell you about my experiences but I have to say, PureKana’s CBD oil is exceptional and a must-have for anyone who has tried traditional medication without positive results. It seems expensive on the surface, but works out a lot cheaper than most prescription medications. It helped ease my anxiety and fears, and even helped my back pain, all for a bargain! It tastes fine, comes with a 30-day money back guarantee, and you should receive your package in quick time. Neutral flavor means you can add it to food or drink if you wish although sublingual consumption works best. Excellent non-pharmaceutical option for conditions such as anxiety, depression, PTSD, and chronic pain. Very effective despite being the lowest available strength. Unlikely to work for conditions such as epilepsy or schizophrenia as larger doses are required. As our endocannabinoid systems work differently, you may not enjoy the same excellent results that I did.